The mahogany Eclipse Large Console Workspace from Argosy accommodates the Yamaha Nuage Workstation and allows you to create and expand the console to adapt to your needs. 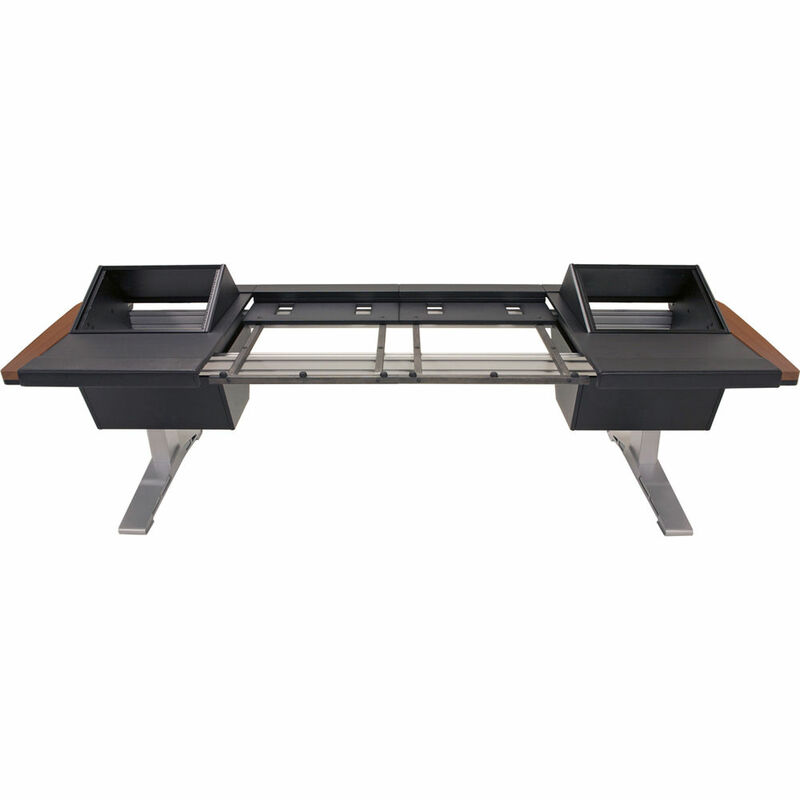 It integrates 1 master/2 faders and left & right 8 RU rack to create a centerpiece to your studio. Equipped with sleek steel legs and performance leather armrests, the Eclipse Workspace utilizes a modular and expandable aluminum rail system to allow the user to update the workstation system without completely replacing its technical furniture solution.